Let’s face it, In the 90s we did not have a sense of style, let alone being fashionistas. Our clothes were always our mother’s choice, and we would wear whatever she felt was cool and fashionable. It was all good, except they were not fashionable according to me. But, when you look at your throwback pictures and skim through the latest fashion diaries, you start to see a resemblance. Don’t you? It was not that bad after all. Sorry, mom! Once a memory, always a memory. Some fashion trends are so relatable and nostalgic that you can pick it up from where you left. Yes, so the 90s fashion trends are slowly making a comeback. If you have not heard yet, it is the next big thing. But again, they have all got a makeover to match the current fashion scene. Anyway, brace yourself for a fashionable trip down the memory lane. You will love it, and you will learn (hopefully), I promise! You know how much you can do with one well- fitted leather jacket? I know it is expensive, but with proper care, it can last you a few decades. Perhaps till the fashion fades and comes back for second innings? No, really! It also goes with almost anything and everything. That’s why this style has been there forever now and is also coming back in case you thought it is a passe. 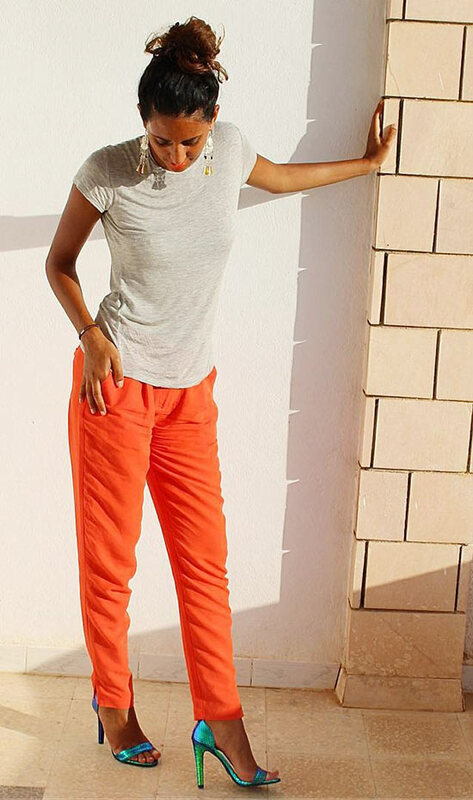 Be it short or long, Dungarees if styled well are hottest pieces of clothing you can wear. Not just overalls, but stars like Bella Hadid are even bringing back those denim dresses, and they look sexier than ever. It did wane into the horizon a little, but it’s on its path to resurrection in the fashion world with a bang! 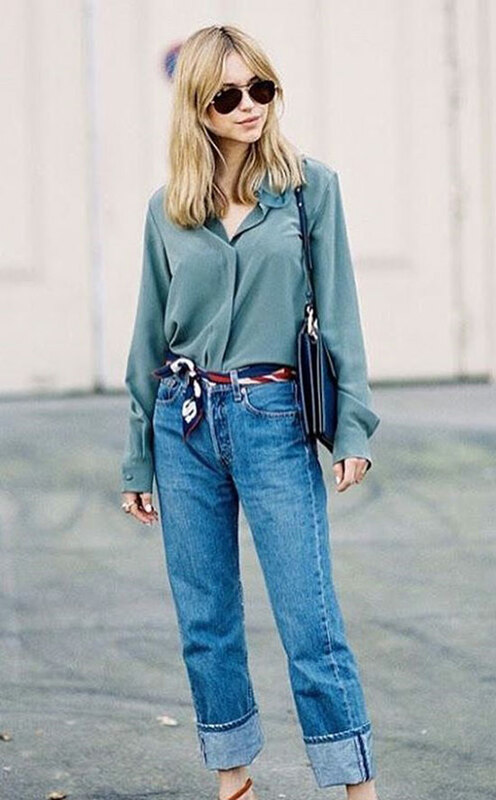 The millennials are all sulking about this, and do not relate to the excitement around the revival of the mommy jeans, but we are glad and think it’s about time. Thanks to Britney and other pop stars, the mom jeans slowly disappeared from the nineties fashion wardrobe, malls, and brands. The style guides suddenly stopped mentioning these, and they became extinct. And, that’s why we have to explain what this is about now. Fine – they were just a pair of airy, comfortable, cotton denim pants that sat beautifully at the waist and were out near the thighs (unlike the painfully tight ones). There are a lot of variations, but this breathable pair of trousers is something we all need, and it’s time they were revived, at least as an option to some of us. What was once considered goofy and nerdy, has now made a radical comeback. It first hit the sunglasses segment and is now a rage with prescription glasses too. If you want to slowly get into the 90s groove, without being too out there, then you should try the round glasses look. Plus, it’s a fad right now! You won’t stick out like a sore thumb, but you will get a thumbs up from the fashion police. Wow! The very sound of it makes me nostalgic. From the flower printed ones to the front slit, buttoned, A-line, distressed, midi and polka dots, we were spoilt for choice. One good thing with denim skirts was the fact that it would suit anyone irrespective of the age, personality or body type. I can’t remember what went wrong back then, but they were taken away just like that. But, we are just so thankful that these are coming back slowly but surely. So, if you’ve seen a denim skirt and are in two minds, just go for it already! If I ever make a list of essentials for a capsule wardrobe, the denim jacket will make it to the list. They were once considered dated, but they have been back for a while now. It goes with everything and anything, works perfectly for layering, and you can use it almost throughout the year. Sleeveless, waistcoat or full hands, you name it—each of them has a charm and style. A style we can never get enough of! From frayed jeans to flannel shirts they are all coming back in full circle. Turns out that fashion works in a two-decade cycle or something. Shirts that were considered a relic of the bygone era are now all over the place. You can wear these shirts either as a layer over a tank or just as a regular shirt, or maybe just tie it around the waist. Yes, tying it around the waist, is back in vogue too. There was a time in fashion when men and women dressed up similarly, more like the fashion grunge movement. That’s how the heavy-duty combat boots started, and Doc Martens came into existence and swept the fashion world. 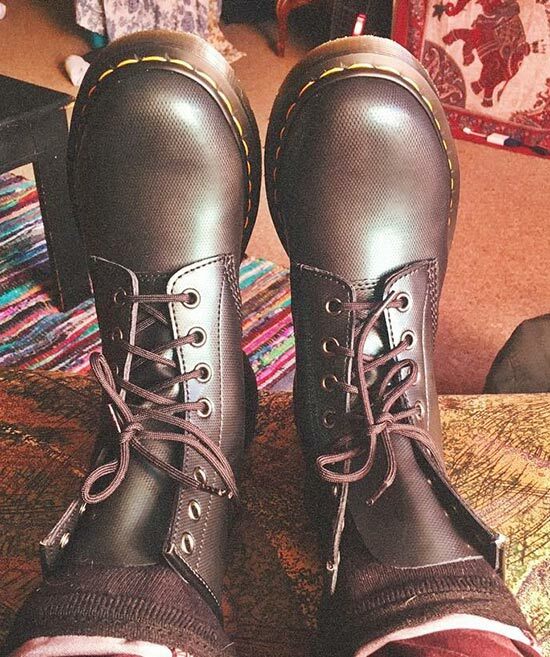 You might relate to Doc Martens if you’re a millennial. Otherwise, you know what I mean when I say combat boots, don’t you? For a while, it felt a little ridiculous to wear boots with slip dresses, skirts, jeans and everything. But, trust me if you can carry it off the way it should be, you will look funky, stylish, chic and comfortable. Over the last decade or so, it was a sin to wear anything loose. You are known to be stylish only when you wear clothes that are tight and body hugging. It was not the case if you rewind ten years, say the 90s. 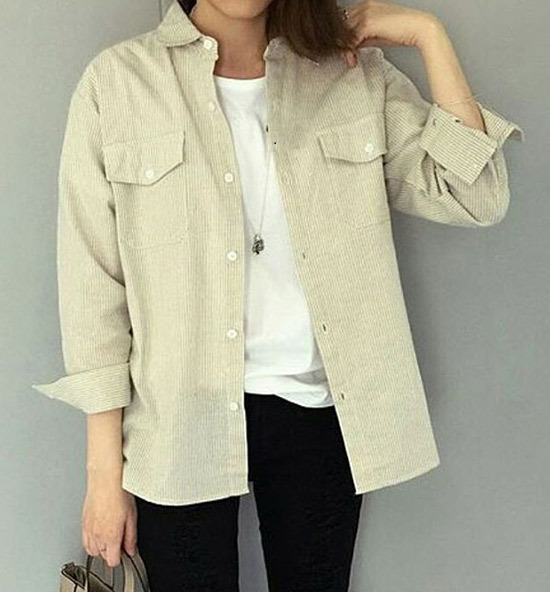 Loose shirts, boyfriend T-shirts were oh-so-comfortable and stylish. Cut to now; it’s an in thing again. Thank god this trend has made a comeback. How can I not wear them? How can we survive without these? Anyway, if this is your style, you don’t have to feel awkward or old school anymore, #because it makes us happy plus it’s NOW fashionable by all means. It started with Kendall, Kylie and Gigi sporting these chokers on Instagram; you refresh the feed, and the trend is back. That’s how quick the turnaround time was. And, of Course, I’m excited, aren’t you? You can practically pair them with anything. Velvet, lace, pearl, embellished, etc., your options are unlimited. 11. 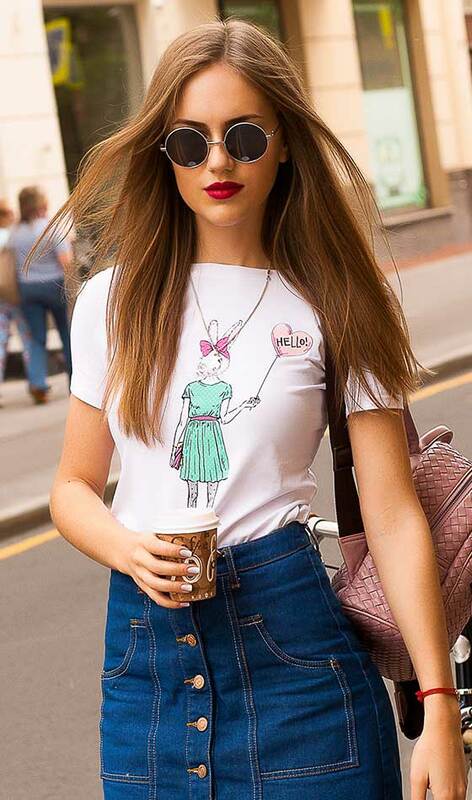 Crop Tops – Never Go Back Again! Like they say fashion changes, but style endures. Trends come and go all the time; while we are glad some are gone, we are ecstatic that a few good ones are back. The crop top is one of those trends that found its way from where it started and this time it’s gotten better. Wear them with jeans, shorts, maxi skirts, tracks, and everything you can think of pairing them with. From the runway to everyday wearables, it is approved. A sleek style then, an elegant style now. They are replacing the crazy neons and patterned sets, but thank god those are gone anyway. With the matching sets, there is a lot you can do—matching crop top and skirt set, jacket and trouser, etc. We all thought we grew out of the high-waist jeans once the low cut trend caught up. We agree that they were not the best looking pants and needed some overhaul. So it looks like someone heard—they are refurbished on par with today’s trends. When the 90s trend was initially picking up, it felt like a very temporary thing and a fad that will eventually fade. Surprisingly that’s not the case, and the designers are only expanding horizons. One such trend was the backpacks that felt so old school, but now brands like Chanel, Burberry, and many other big brands have signed up to this style. And, you should too. A lip color that sums up the nineties style statement in two words—goth and grunge! Thanks to the Kardashians for bringing the style back and this time it’s for everyone (unlike old times). It was considered inappropriate, unsuitable, dark or gothic to wear brown lipstick, but thanks to the K sisters for changing that. And, before we know big names signed up to release their version of the brown lipstick. But, my favorite is Kylie’s lip kit (true brown). I wonder, why we even went off the trend for a while? What is there to not like about these? They are comfortable, chic and easy breezy. But I get it; it is a thin line between comfort and sloppy dressing. Like everything else, there is a method to this madness too; and that’s why brands have launched track pants in so many variants, you cannot help but drool. This trend is back for good and is not going away this time. Don’t you worry! 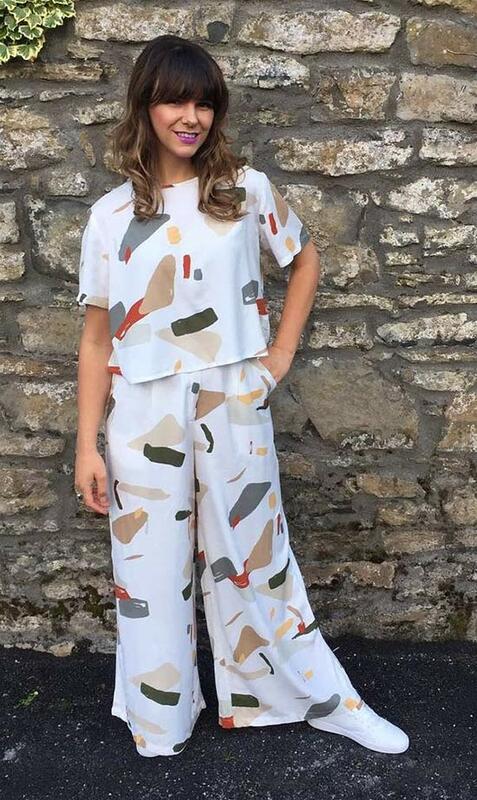 Printed separates were big in the 90s, and that seems to be the case now too. 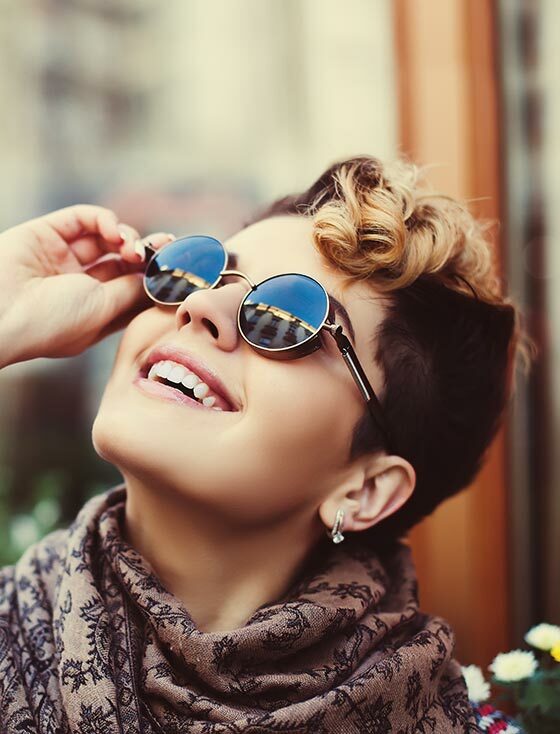 A lot of celebrities are seen sporting this style, and we should all take the lead. Whatsay? 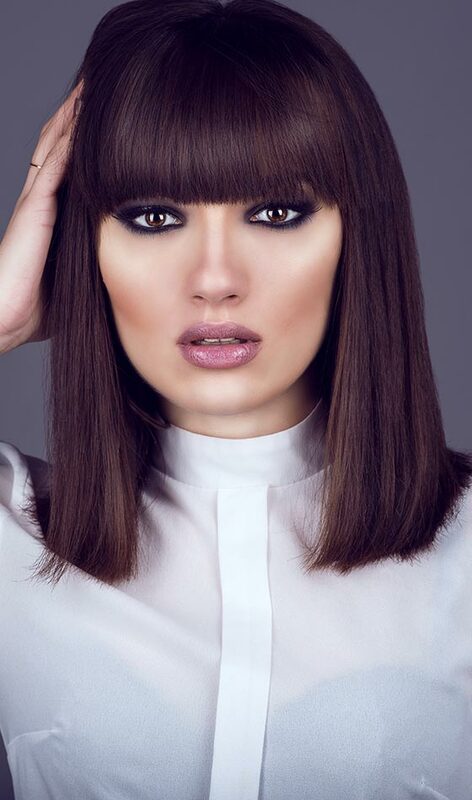 Bangs and Bob make us feel nostalgic because that’s one hairstyle that probably each of us had growing up. For me, that was the only style I knew. And, now after many years, it’s starting to resurface, and people are flaunting just as good. Taylor Swift? She’s killing it in bob and bangs for as long as I can remember. One more 90s fashion trend that is back after a hiatus and one that is not considered retro anymore. I mean, if you dress up in flashy neon colors from head to toe, yes. But, that’s why we take some style inspiration from our stars and learn to amp up outfits with neon accents. Boots, lipstick, top, tracks, shoes, etc. are cool opportunities. Caption T-shirts are a rage like no other. No wonder then that even your favorite brands are banking on band names as well. They are back in vogue. As for me, I never threw my Beatles or Rolling Stones T-shirts; I have new additions like GoT, Harry Potter, etc. I guess I didn’t grow up after all! What To Wear To A 90s Themed Party? So what to do you wear to a 90s theme party? Not sure? Don’t panic! 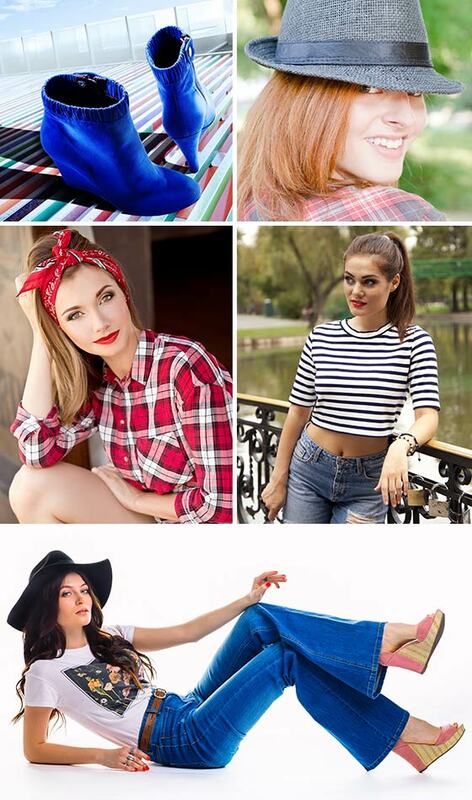 Now that the trend has come back it is not very difficult to fish out clothes for the party. It is a combination of all the things we just discussed. Stuff like flared bell bottoms with crop tops; matching sets; denim skirt with neon sandals and fedora; or something like this will give you your dose of drama. Kylie Jenner In Neon Accents – She brought the neon colors back but proportionately. Not to forget, her love for chokers and true brown lipsticks. Gigi Hadid In A Flannel Shirt – I’m sure by now all of us have flannel shirts, especially one in red. Yes, the 90s trends are back—this is proof. 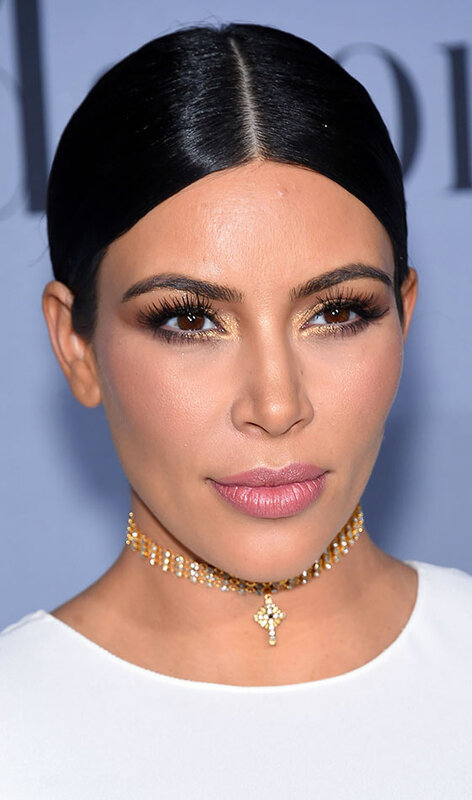 Kim Kardashian With A Gold Choker – She is known for creating a fashion revolution, and we are not surprised that she is carrying the choker so well. Taylor Swift In Bob And Bangs – Yes, this look for me is forever hashtagged with her. If it was your favorite 90s hairstyle as a kid, don’t wait for anything—get it done! Selena Gomez In Printed Separates – This is what 90s fashion grunge means, perhaps? Bella Hadid In Denim Overalls – She created a buzz with her denim overalls, denim dress, etc., officially bringing the 90s outfits back to the millennials and all of us. 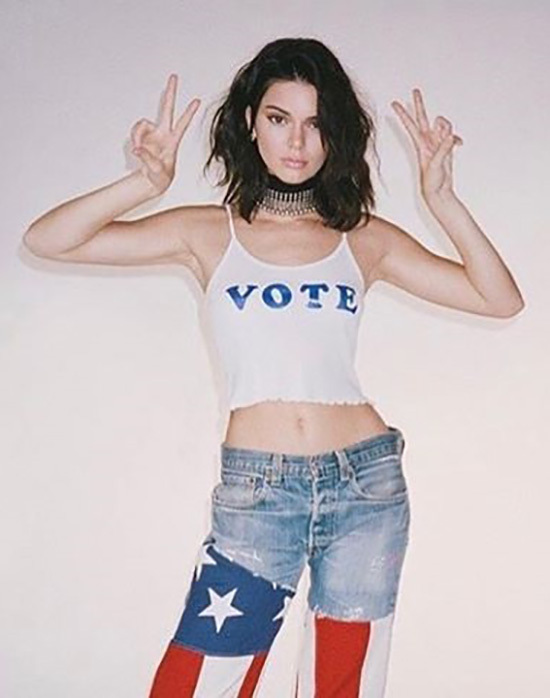 Kendall Jenner In Crop Top And High Waist Jeans – This outfit is just your 90s style guide! Priyanka Chopra In Crop Tank – Crop tops, chokers, high waist jeans—you name itAnd you will find Priyanka sporting all of these at some point or the other. 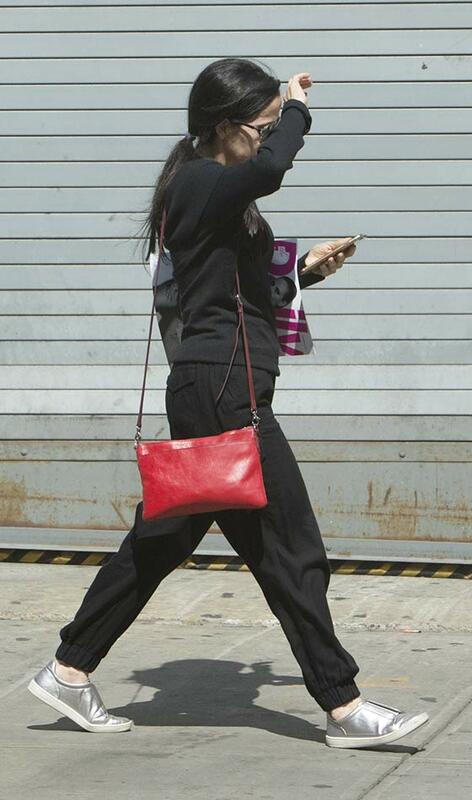 Need we say PeeCee is always on the top of her fashion game, so 90s trends are no exception. Deepika Padukone In A Neon Dress – We love how easily Deepika can pull off any look and look gorgeous in it. 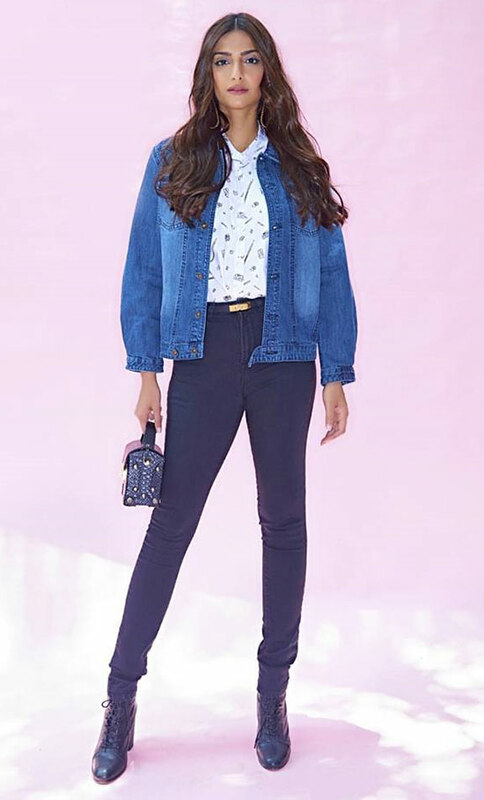 Sonam Kapoor In High Waisted Jeans And Denims – That is a subtle yet stylish 90s outfit. Alia In Denims And Round Shades – To see a millennial pull it off is incredibly cute to look at! 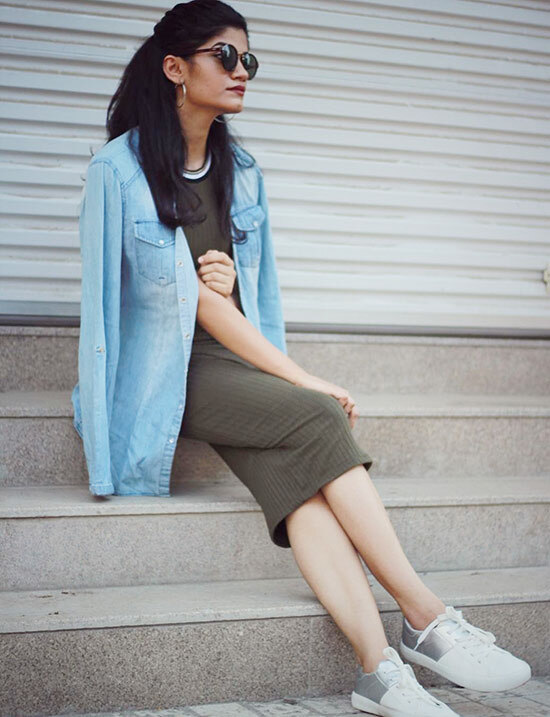 Anushka Sharma In Denim Overalls – Designer Masaba Gupta is known for her retro take and this denim overall that Anushka sported is proof. Shraddha Kapoor With A Choker – Shraddha Kapoor looks chic in a classic black choker. It appears, even she can’t get enough of the statement piece either. Teenagers, you have nothing to worry about. 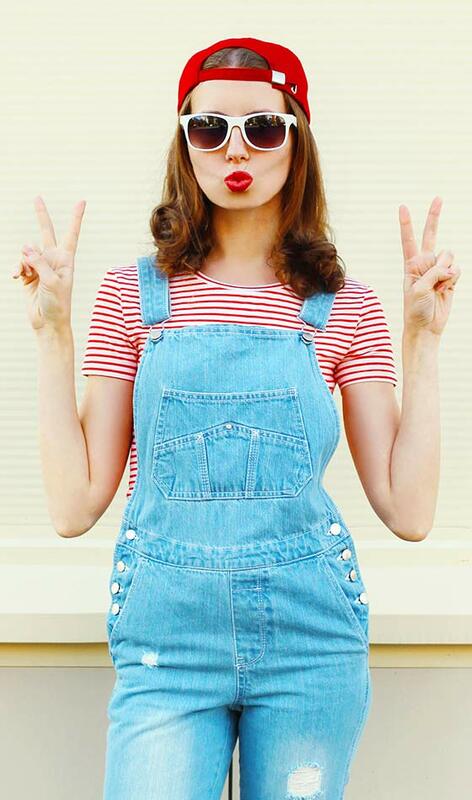 Dungarees, Denim overalls, etc., are fashion statements that have been around from the 90s and are age appropriate too! You know that summer look, where every other girl is seen with a T-shirt dress and a shirt around her waist? Yes, that is a style from the 90s. Also, it’s fashionable and comfortable. Butterfly clips were ethereal and elegant back then. And, they are slowly making a comeback, not in full force but it will be a rage soon. So, start wearing them soon! Sure, you might have been born when their music was released, but these bands are still hot favorites of people from all age groups. And, that’s what makes them legendary. Anyway, T-shirts from the famous bands are a rage right now, and they are back. So wear one of these, and you’re sorted. 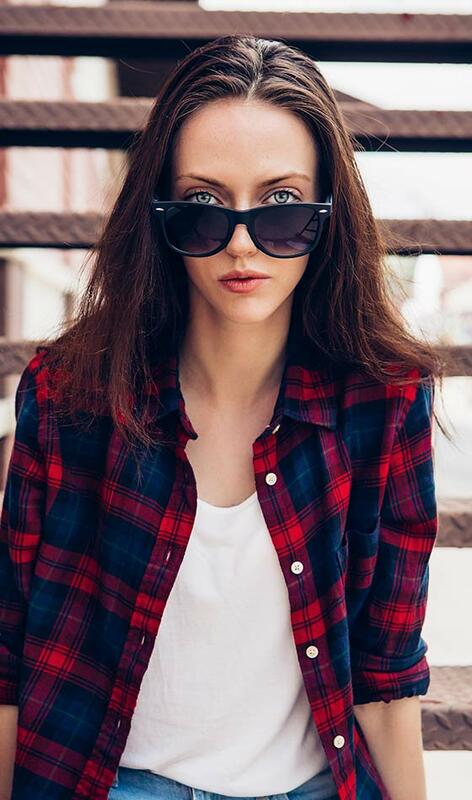 One word that describes 90’s fashion best is grunge. And every time you hear someone talk about the 90s fashion or its comeback, you know that it’s (grunge) returning. So, grunge and goth slip on or lace dresses are simple and easy ideas to incorporate. If you don’t feel your age and still feel you’re young, here’s a fun fact. It’s been a little over two decades that Spice Girls released their first album. Yep, reality check! They were the epitome of fashion back then, even though some argue that it was a lot of skin revealing clothing for the 90s. Nevertheless, they were usually spotted in printed separates, matching sets and other outfits that were full of grunge and goth. You have a lot of choices here and are interesting fancy dress costume ideas. 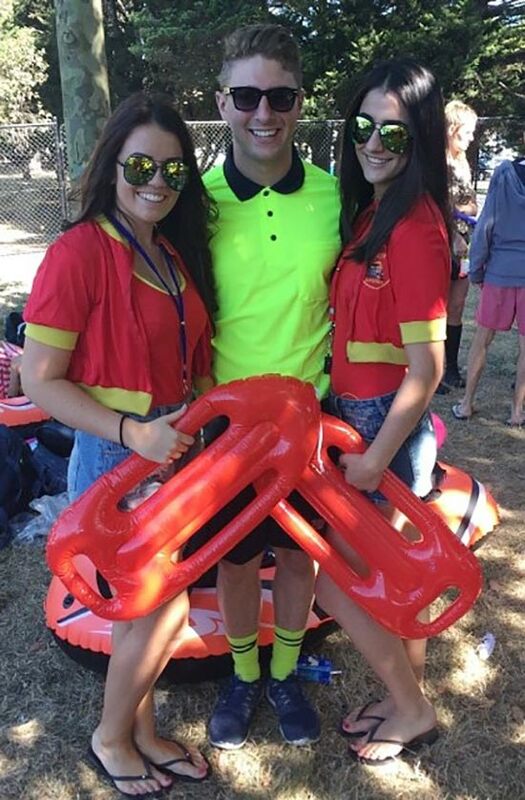 Baywatch is back. Yes, I know we can’t wait for the movie to be released. Oh-my-god, it’s Dwayne Johnson for God’s sake. Anyway, it also makes for perfect 90s fancy dress ideas. We all grew up watching Baywatch, so let’s do this! One thing about the TV show ‘Friends’ is that everyone relates to the show after two decades. A futuristic show in every sense. Be it, the style, jokes, characters, lifestyle or their problems. OK, if I get started about friends, there is no stopping me. So, anyway pick up a look by Monica, Phoebe or Rachel, and your 90s style statement is equal part fashionable and appropriate. Kids these days do not relate to toys as much as we did in the 90s and Barbie is inarguably a favorite for most of us. So, for a 90s fancy dress, Barbie’s style statement sounds kind of cool to me. Bell bottoms, cascading curls, crop tops, hair bands and platform heels. Perfect! Today’s kids do not relate to this or might not even agree that Britney Spears is an icon who has been a fashion influence. Remember her white eye makeup, the hats, pigtails, sheer crop tops, tube tops, bell bottoms, low cut jeans and the list is endless. So if you are looking for ideas from the 90s, just replicate one of her looks. Thanks for everything Britney! After all of this, if you still do not know where to begin, raid your mother’s closet, visit a thrift store or go to the flea market (you can also save big). Ebay, maybe? Because the 90s fashion is slowly erupting, one style at a time and before you know, it’s everywhere. As for me, I always love loose boyfriend shirts, the dungarees, plaid shirt, etc. and these are all oh-so-comfortable. So, I’m one happy soul. What is your favorite style from the 90s? What is that one style that you think deserves a comeback? And, what style defines you the most? Let us know. Lastly, I hope you enjoyed this trip down the memory lane. I sure did!